No amount of theory and information ever answers all the questions that taking action does, not least because sometimes you don’t know what’s going to work and what’s not, and trying to work out every next step for every scenario is simply going to be exhausting. The best thing you can do when working on a new offer, new product, new service or new way of doing your Thing is to plan ‘up to a point’ and then get on with it! When you ‘get on with it’ you’ll soon have all the answers to your questions–some things will work, some won’t, some will need tweaking, others might need an overhaul–but the point is the best way to get these questions answered to get on with taking action. This, of course, makes total sense, and yet the longer you spend in planning or learning mode, the harder it can be to move into action mode. 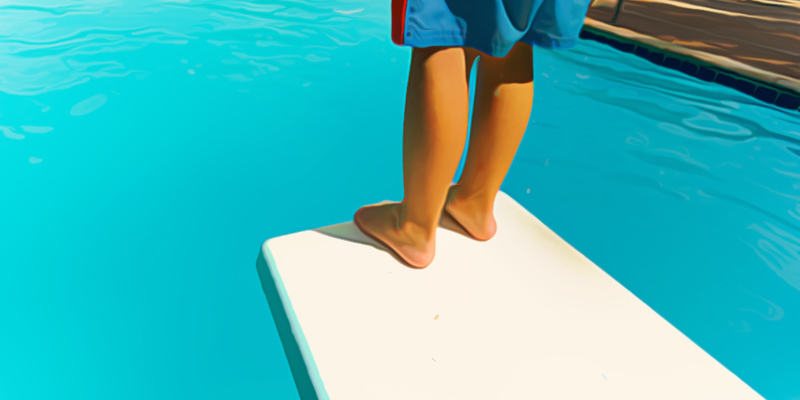 There is a fine line between ‘jumping in the deep end’ (sometimes unwisely!) and simply ‘getting in the pool’. If you’ve had some swimming lessons and you know what to do it makes sense at some point to just get in the water, you don’t actually have to climb up to the highest diving platform and jump in from there if you don’t want to. Wendy Kier, The Queen of Twitter, blogs about the need to have a Twitter business strategy that sits in line with your overall marketing goals and objectives, and how random Tweeting does very little in way of attracting new business. As someone who has a thousand ideas a day (you might be the same?) I am never short of options when it comes to ‘how’ to do my Thing. I could write a list of never-ending hows, if I’m honest. But as I am sure you know, trying to do everything (just like trying to market to everyone) typically gets you nothing or no one. You need to focus to get results. Selling online can be as straightforward as adding a PayPal button to your website, but if you’re looking to manage a full catalogue you really need something more sophisticated.